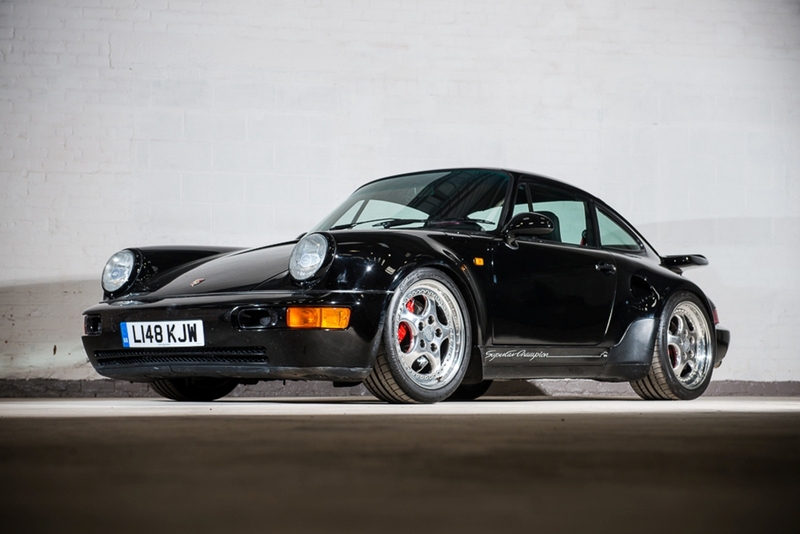 Rare, limited edition 1993 Porsche 911 Turbo S Leichtbau for auction at Silverstone Auctions’ May Sale. One of only 86 examples made to a light-weight specification with enhanced engine output. To be offered at auction on 13th May with a sale estimate of £475,000 to £575,000. 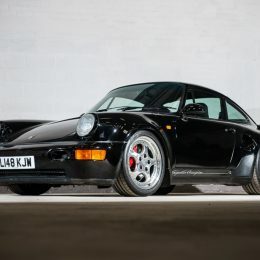 Silverstone Auctions has consigned a rare, limited edition 1993 Porsche 911 Turbo S Leichtbau to its May Sale, taking place on 13th May at Silverstone circuit. The highly collectible car is, according to its Porsche Certificate of Authenticity, chassis number 51 of a very special, limited edition, light-weight and road legal version of the 964 Turbo, of which only 86 examples were ever made. Announced in May 1992, Porsche wanted to improve its 964 Turbo S2 by increasing engine output by around 40bhp, however this was comfortably exceeded and in the end an additional 61 horses were found, bringing net power up to 381bhp. Housing a single turbo 3.3 litre engine and G50 5 speed gearbox, the Leichtbau also featured weight saving options, namely aluminium doors, thinner glass, thinner carpets and the Kevlar luggage lid and rear spoiler. Distinctive visual enhancements included side air intakes in front of the rear wheel openings, a flatter, body-coloured rear wing and air intakes to cool the brakes. 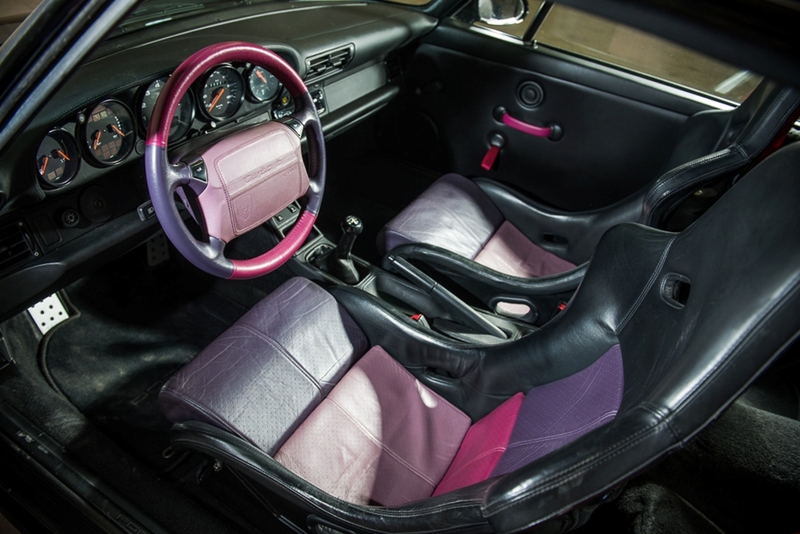 This particular example was completed on 13th December 1992 and is one of just six finished in Gloss Black, with a black leather interior and triple tone Recaro seats in Rubystone with matching steering wheel. First registered in the UK on 1st January 2014 and well maintained by its current owner, the car will be offered at auction with a sale estimate of £475,000 to £575,000. “The Leichtbau is one of the most exciting 911s available with unique rarity and stunning looks,” explains Harry Whale, classic car specialist, Silverstone Auctions. A comprehensive 230 Point Porsche report carried out under the instruction of the auction house confirms the car is a matching numbers example checked against a data print from Porsche Cars GB, unusually carrying a C99 country code. An unwarranted mileage of 68,868 kilometres is concurrent with the general condition of body and interior. 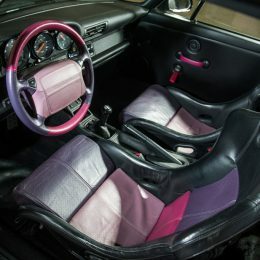 “The car presents in very good condition with a very well preserved, clean and tidy interior, mostly original paintwork of a good standard and mechanically all components under the car are outstanding for a car of this age,” concludes Harry. The car is fitted with an immobiliser and will be supplied with two keys, V5, replacement service book, receipts and MoTs during present ownership, a list of the original options fitted, and the comprehensive 230 Point Report, as well as a fresh MoT at the time of the sale. To find out more about the 1993 Porsche 911 Turbo S Leichtbau and Silverstone Auctions’ May Sale please visit https://www.silverstoneauctions.com/1992-porsche-911-964-turbo-s-leichtbau.